Hope you’re all enjoying a wonderful summer so far! Just want to be in touch and let you know what’s cooking here with me and my music ministry these days. Bryan, I heard your "Perfect Church" song on the Pulpit Fiction podcast and was so taken (I nearly fell off my chair laughing) that I bought your Fully Alive album. Thank you so very much for your ministry. You do a fabulous job with communicating nuanced messages in very accessible ways. May God continue to bless you and your ministry richly! These unsolicited bits of feedback from you folks out there always put wind in my sails and encourage me so much. So thank you!!! Quite a few people have told me that they think this is the best album I’ve ever released. I don’t know about that, but I’m really happy with it and am delighted that many of you are enjoying it. Thanks so much to all of you who have purchased the CD from me or downloaded songs or the full album from iTunes. And if you haven’t purchased it yet, please do! Click here to listen to clips and download Fully Alive on iTunes. As always I’d love to hear about any ways some of the 16 songs on this collection have been meaningful to you. I work long and hard on my recordings and it means the world to me to know that the music I create is touching people’s lives. And of course posts of Facebook or other social media are always helpful to me in terms of letting folks know about new releases. I’ve also recently revitalized my blog with a new blog series called “Behind the Song.” I’ll be writing a blog based on each song on “Fully Alive,” and will share with you some of the stories, experiences, and thoughts that led me to write each song. I’ve posted two so far, the first based on the song “Jesus Was Not An American” and the second on the song, “I Am Welcome.” Here are links to both of these blog posts. Please share them on Facebook and Twitter if do that kind of thing. I hope that "Jesus Was Not An American" will help some of you actually celebrate the 4th of July in a way that feels grounded and true. 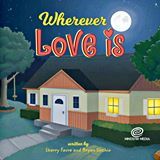 I’ve also been getting lots of beautiful responses from folks who have purchased this little book based on my song, “Wherever Love Is.” This was co-written with my talented friend Sherry Favre. Lots of people are now tucking in the little ones in their lives by reading this book together at bedtime. This makes a great gift for anyone who wants to remind children that they are loved by God and that God can always be found “wherever Love is.” Right now I’m offering a special deal for any of you who would like to purchase the book and the “Bugs For Lunch!” CD together. Normally that package is $27.99 (including shipping costs), but from now through August 1st those two items will be available for only $19.99 (including postage). Want to Host a Bryan Sirchio Concert or Worship Service? I’m finalizing the rest of my schedule for the 2015 and have a few open weekends that I’d love to book, so if that sounds like something you and your congregation might enjoy hosting, please be in touch ASAP while these dates remain open. I’m particularly interested in booking something on the weekend of August 15 in the Boston or greater New England area. I’ll be at Andover Newton Theological Seminary participating at the Convergence Network gathering from August 12-14. My daughter and her husband and 3 boys (ages 3, 1, and baby boy number 3 is due soon!) live in the Boston area so I’m always looking for good excuses to be in that neck of the woods (or pavement). CMP is a brand new online music publishing and distribution company that I’m starting with author Brian McLaren, and Cameron Trimble of the Center For Progressive Renewal/Convergence Network in Atlanta. Some of the best writers and artists in the Progressive Christian and Emerging Church worlds will be at the heart of this with me—folks like Christopher Grundy, Andra Moran, Richard Bruxvoort Colligan, Doug Pagitt, and quite a few more. I’ll send out more information about this soon, and we’ll be launching a crowd sourcing campaign later this summer to help raise funds to get this new venture off the ground. This is going to be an amazing source of new songs that will all feature inclusive language, progressive theology, and wonderful music in virtually every imaginable style and from as many different cultural, racial, and ethnic traditions as possible. It will initially feature songs primarily for worship, and eventually be a source of more progressive Christian music that folks can just listen to on personal listening devices. We’ll be looking especially for congregations that would like to be a part of a beta group to help us test things out and make this as user friendly for churches and interested individuals as possible. Sound interesting? Feel free to be in touch if you’d like more information. Thanks as always for listening, reading, sharing, and showing up! I appreciate all of you so much. Sorry If my newsletter was hard to read!